Delicate lace panels enhance the appeal of this smooth-shaping contour bra. Wacoal "Embrace Lace" bra with floral lace embroidered on center front panel and wings. Soft stretch foam cups with underwire to smooth, shape, and lift the bust. Clean tailored, adjustable satin shoulder straps with soutache trim. Onzie sports bra with foil feather graphic print. Provides light support for low-impact activities, such as yoga, walking, and pilates. High neckline. Strappy back design. 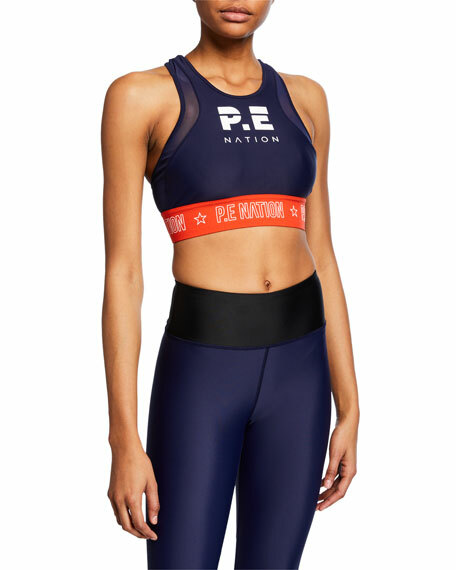 Cropped under bust. Pullover style. Nylon/spandex. Made in USA. 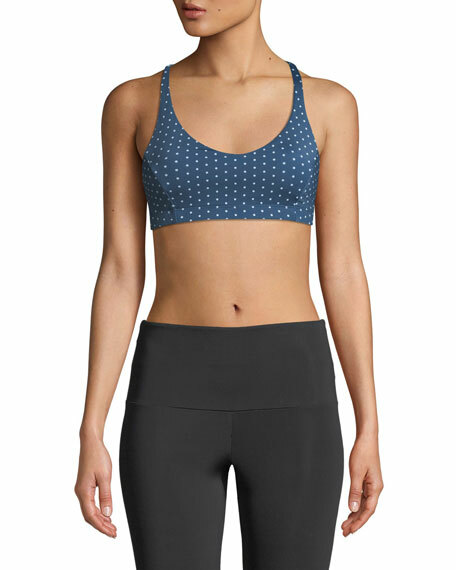 Onzie "Pyramid" sports bra in polka-dot performance jersey with strappy back design. Provides light support for low-impact activities, such as yoga, walking, and pilates. Scoop neckline. Slim shoulder straps. Pullover style. Polyester/spandex. Made in USA.